New Poems. Although he would go on to other great accomplishments in potery -- his "Requiem for a Friend" written after the death of his close companion Paula Modersohn-Becker (whose portrait of Rilke is reproduced below), his late inspired Sonnets to Orpheus and Duino Elegies), the poems of the New Poems represent one of the great achievements of modern poetry. Poems about objects, and thus about encounters with the world of objects, they push human consciousness to some of its limits. Powerful yet accessible, clear yet hovering close to the unsayable, these poems are among the finest lyrics ever written. 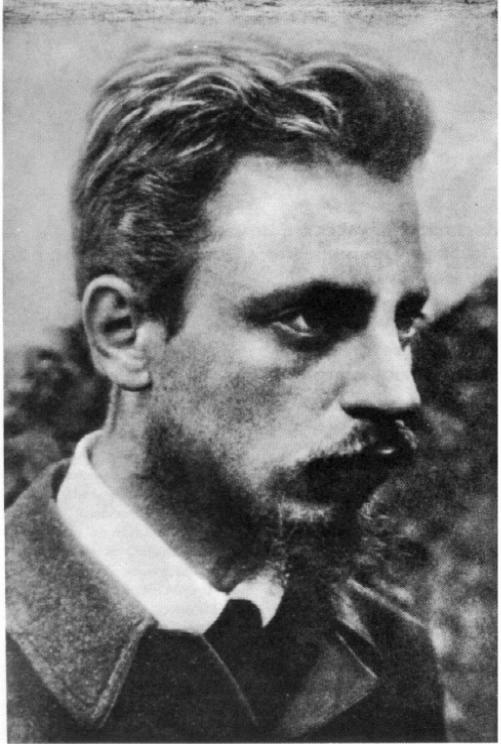 To hear a discussion of seven of these poems, click on the portrait of Rilke below. "Portrait of My Father as a Young Man"